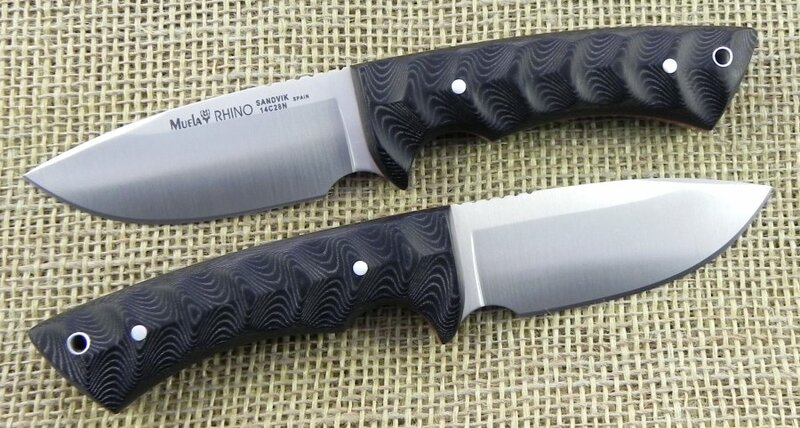 RHINO-10SV-M Muela knife with stainless steel tang blade of 102 mm 14c28 Sandvich. long (90 mm. sheet) and 4 mm. thick. 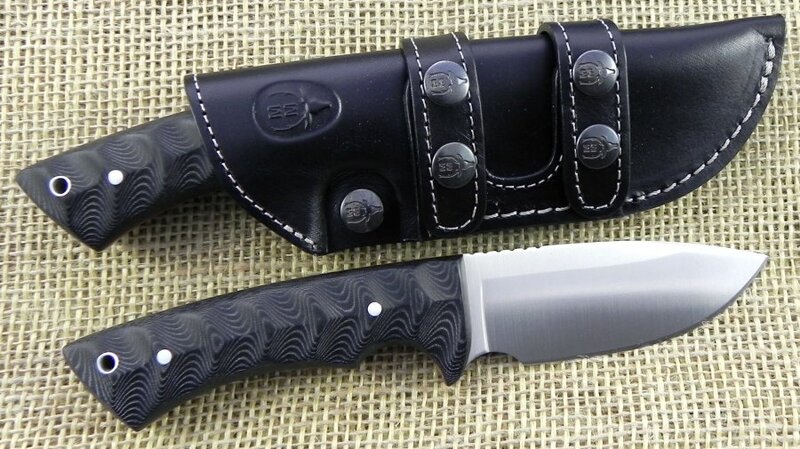 Handle with beveled black micarta grips with red spacers. Leather case with optional vertical or horizontal anchor.